The World Snooker Championship 2019 kicks off at the Crucible in Sheffield on Sat 20th April and runs until Mon 6th May. 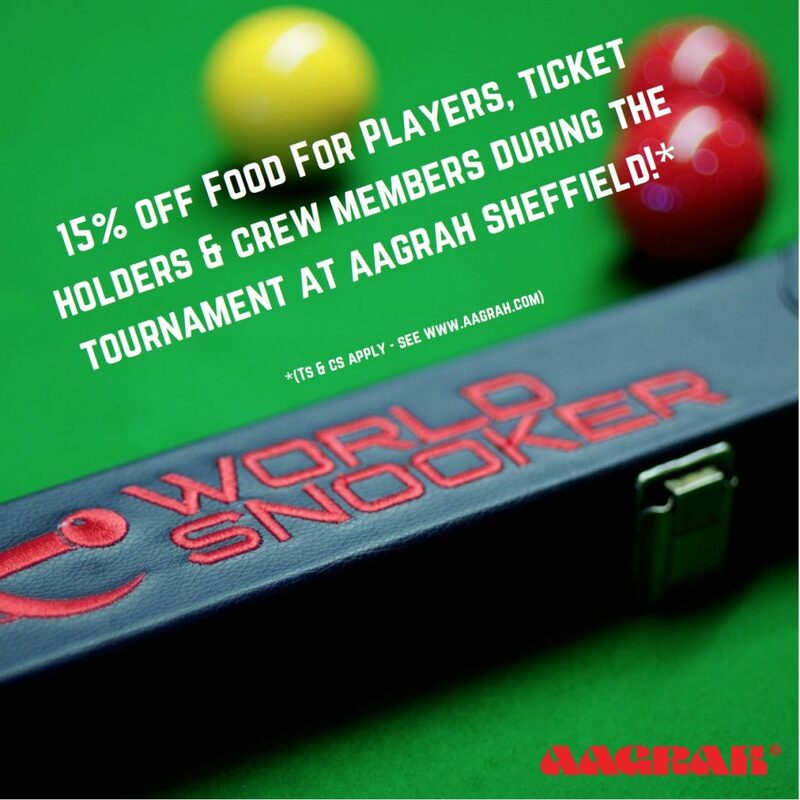 The Aagrah Restaurant Sheffield is the ideal place to dine during the tournament, being only a 5 minute walk away from the venue! If that wasn’t enough we’re also offering all players, ticket holders and World Snooker Championship crew members 15% OFF FOOD for the duration of the tournament! * (terms and conditions apply – see below). Just show your pass/ticket stub or crew pass and we’ll do the rest! BOOK ONLINE NOW or call us on 0114 279 5577 to make your reservation! Valid from Sat 20 April – Mon 6 May 2019. In house dining only, not valid on takeaways. Valid pass/ticket stub/crew pass must be presented prior to ordering to qualify for the offer. Valid on food bill only. Drinks are not included. Valid exclusively at Aagrah Sheffield, Leopold Sq, Sheffield ONLY. The management reserves the right to amend, refuse or withdraw the offer at any time, without notice and without compensation. In any case of dispute the manager’s decision is final.